Discussion in 'Car Audio' started by Edz6litrestato, Aug 29, 2018. 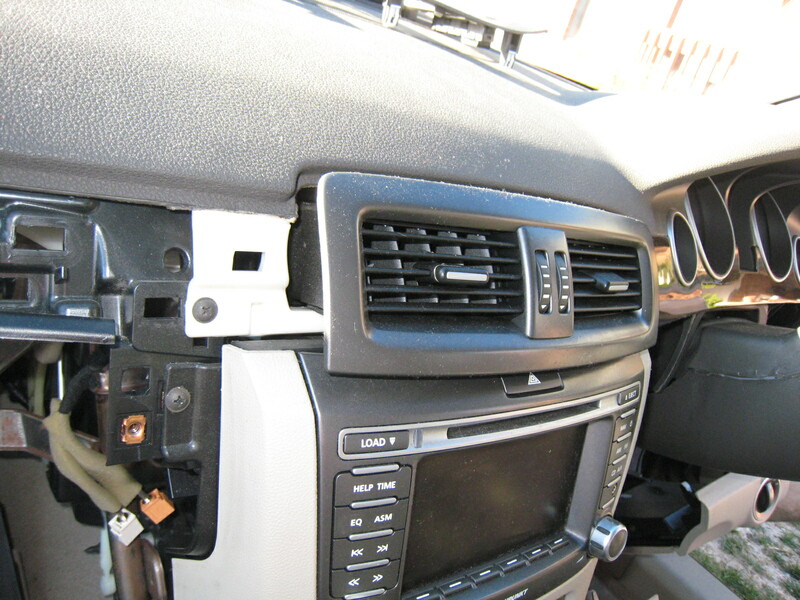 The first part of removing the WM Statesman radio/climate control is the same as the VE Commondore. This is a good link on removing the VE radio, it is the same for the Statesman until you get to figure 34. 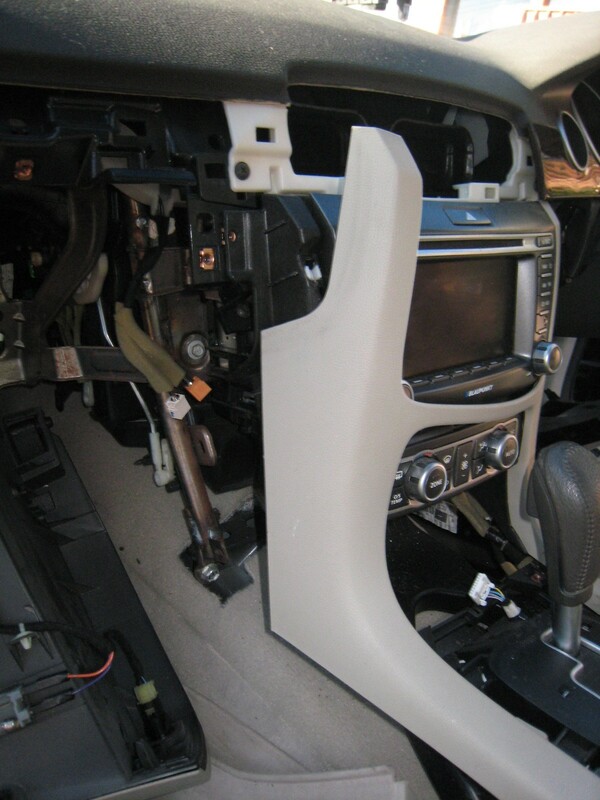 You need to remove a fair amount of dash trim, the glove box, the under panels, the side panels on the console and unplug the aerial on the left and power plug on the right. 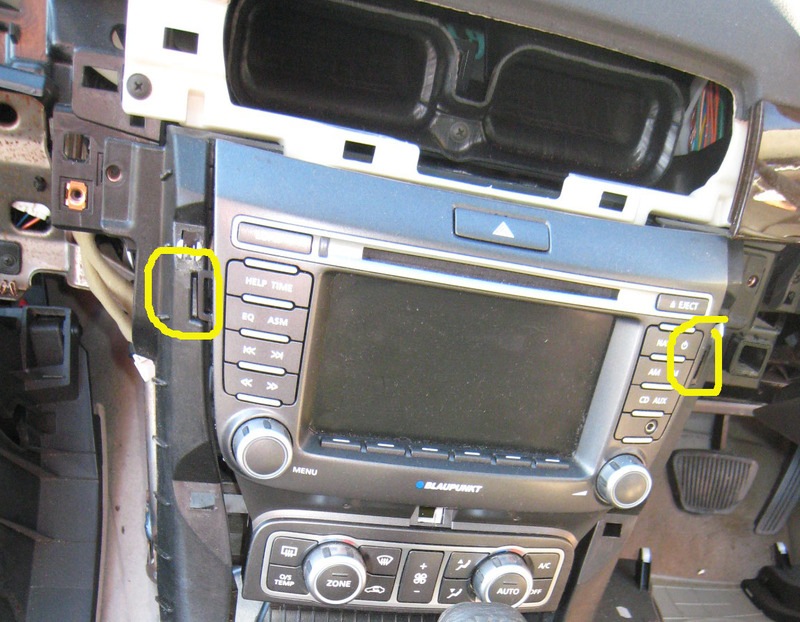 With the VE, the radio just pulls out once with a firm pull from the top after you remove the front, however the WM Statesman Radio and climate control is all one unit and needs special levers to release the clips before it can be pulled out. Your dealer can do this final stage for you. To get the radio out in the WM Statesman you need to first remove the air vents by pulling them out. This will expose the release clip holes as in the picture below.